18 tracks for dances in the Book plus Marian’s own recording "Staircase in Styria" ’ with full instructions and sheet music included. Accompanying Book also available for £7, or £18 the set. 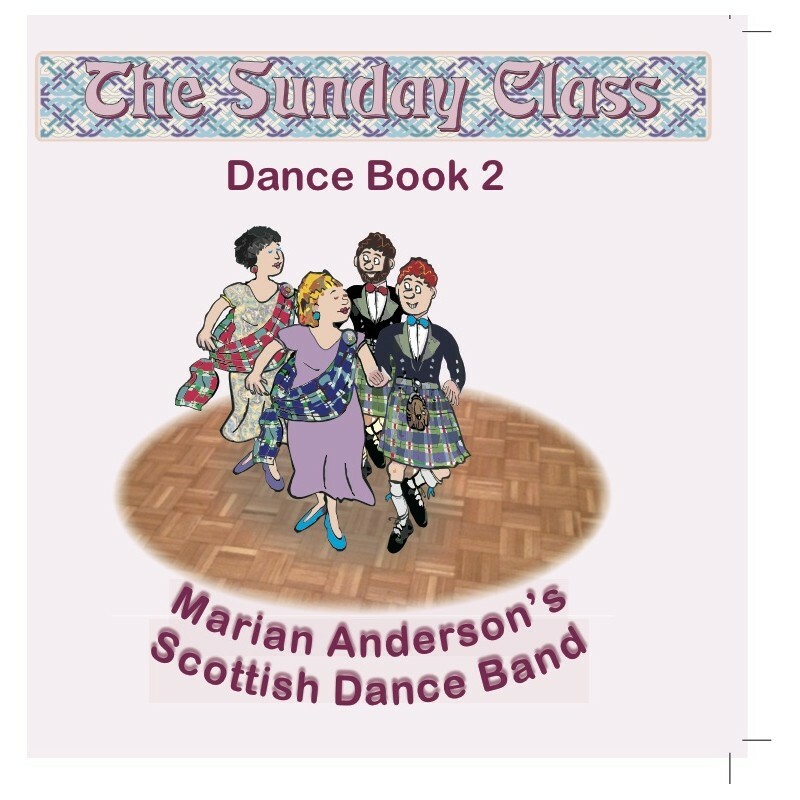 This new CD from Marian Anderson and the accompanying book, are likely to appeal to a wide audience of dancers and listeners, with dances ranging from the straightforward to the complex, such as Marja‟s Buns, a medley for six couples in a “square” set. Each is accompanied by the story of its origins, which span the world, from New York to New Zealand. bodied sound in which all instruments are clearly audible and play their part. drums, Graham Bell on second box and Isobelle Hodgson on the piano. of the dances have new tunes, by Marian and other leading players, and tunes are well chosen to match, drawn from the great body of music written in the last 50 years. The album is not without its novelties, including “Singing in the Rain” and “Any Dream Will Do” to go with “Give My Regards to Broadway” for the dance Broadway – great fun and something different for a strathspey. I also particularly enjoyed the use of Calum MacLean‟s Mull Holiday to provide four turns of Staircase in Styria, instructions and music for which are in the CD booklet.